Vancouver’s current building codes do not require its condos, apartments, and houses to be serviceable after an earthquake, which could leave many Vancouverites without a home if a major tremor hits, according to a University of B.C. civil engineer. The current code only requires buildings, even the newest ones, to have the strength to withstand earthquake tremors long enough for those inside to escape. 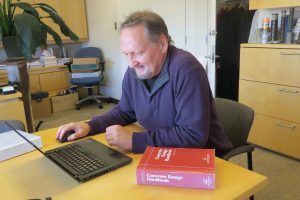 But, it doesn’t require those buildings to be usable after a quake, says Perry Adebar, head of the UBC civil-engineering faculty. If an earthquake strikes, most buildings in Vancouver, from a century old to built this year, will require major repairs before they can be being safely occupied again. Adebar says this gap in the building code would affect large parts of Vancouver’s West End, which has a large number of buildings constructed even before the city’s first seismic building standards were put in place in 1973. Perry Adebar, head of civil engineering at UBC, works in his office. Vancouver residents would also face huge property damages in the wake of a seismic event. The insurance industry has estimated that a severe earthquake in B.C. could mean damages in the $75-billion range. The city of Vancouver identified the need for a proactive plan to prepare the city for an earthquake after the Nov. 14 earthquake in Christchurch, New Zealand, that caused damages worth $45 billion. The loss of equity from an earthquake is a big concern for Adebar. “People who own condos or high-rise buildings worth millions of dollars would lose their complete equity if an earthquake hits,” he says. According to the Insurance Bureau of Canada, fewer than half of B.C. residents have earthquake insurance. 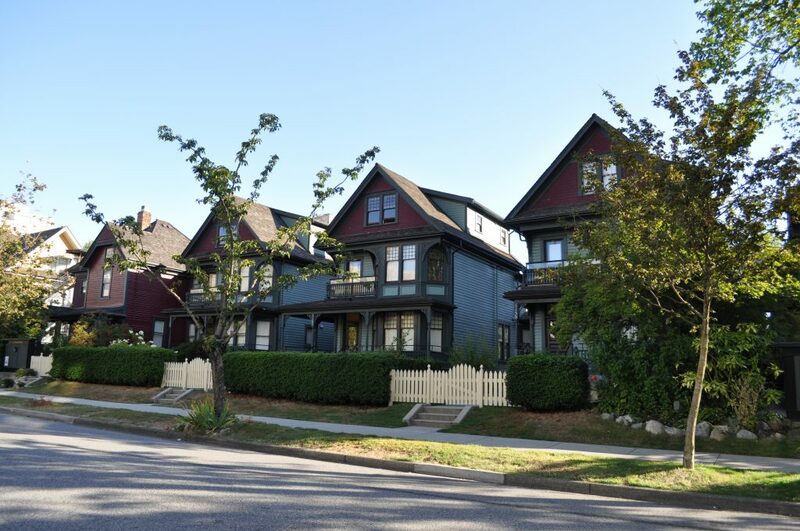 In Vancouver, 55 per cent of residents have adequate insurance. Arielle Dalley, a student at UBC’s School of Community and Regional Planning who did her thesis on earthquake preparedness in Vancouver, says that lack of awareness is a major concern. “Most of my friends are surprised when I tell them about the building codes,” says Dalley. She wasn’t aware of the codes herself until recently and believes the information should be included in earthquake-preparedness materials. 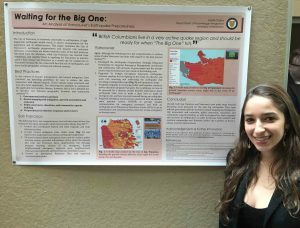 Arielle Dalley, student at UBC’s School of Community and Regional Planning, stands next to her presentation on earthquake preparedness. General awareness of earthquake preparedness is on the rise, with the province holding regular earthquake drills and the city of Vancouver systematically upgrading its buildings. But when it comes to the building codes for the tens of thousands of residences in the region, there is a gap in information.